Created by Mrs. IN SREY RA and Mr. Pierre GUBRI, the L’Eau Pour Tous (Water-For-All) association is an NGO of Cambodian law, headed by a Cambodian woman. Hydraulician, Pierre GUBRI has been living in Siem Reap for 20 years. Arrived in Cambodia in 1992, he worked for 3 years with Action Contre la Faim and the Cambodian Government to train teams in the drilling of wells. 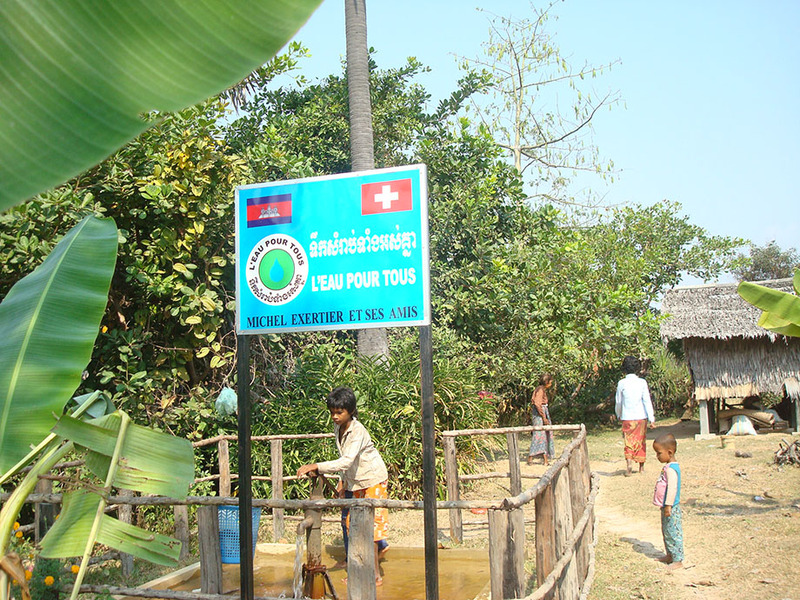 To better meet the drinking water needs in the province of Siem Reap, he decided to found the L’Eau Pour Tous association which currently has 10 employees. For five years, Michel EXERTIER has been working in the field and represents the association at European level in the search for donors. Present on the spot two times per year, he can better assess the needs of the populations and carry out the necessary actions. Outside large cities like Phnom Penh, more than half of Cambodians, nearly 7 million people, do not have access to drinking water. Men, women and children in prey to many diseases related directly to the poor quality of water (diarrhoeal diseases, gastric infections, hepatitis A and skin diseases). The mortality rate of children under 5 years old amounts to 96 per 1000 whereas it is 3.4 per 1000 in our developed countries! For their daily consumption, the village inhabitants use water from traditional wells, water holes, ponds and rivers. The majority of these water points are not protected from surface pollution and are regularly contaminated by surface runoff. This water is not only unfit for consumption, but in addition, it becomes rare during the dry season. The climate and the geology of the region are such that floods follow drought, and the two phenomena contribute to water scarcity. A donation of €1,200 allows to sustainably offer quality water to 50 people!